This classic design is handcrafted from fine quality Oregon hardwood. You have a choice of Maple (light wood color) or Walnut (dark wood color). 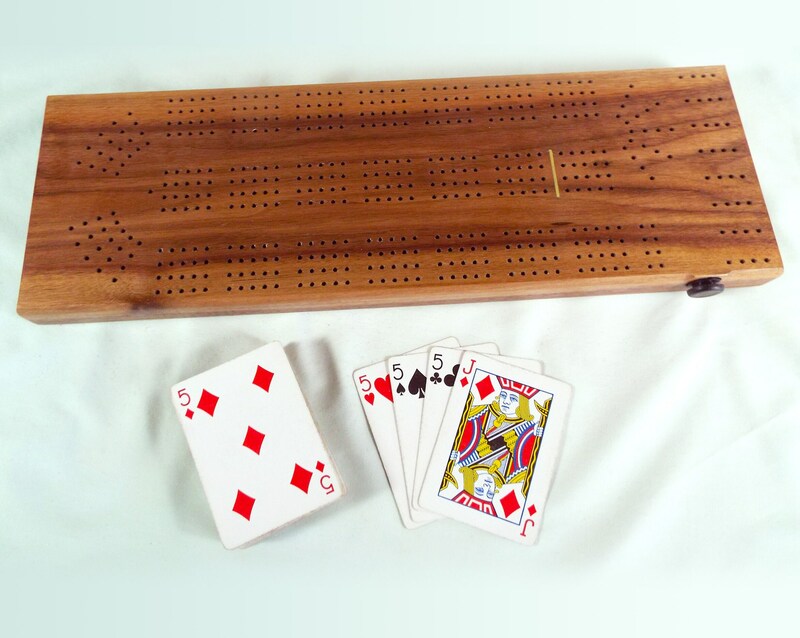 This Cribbage is Tournament quality yet simple in design and ruggedly constructed from a single piece of wood. 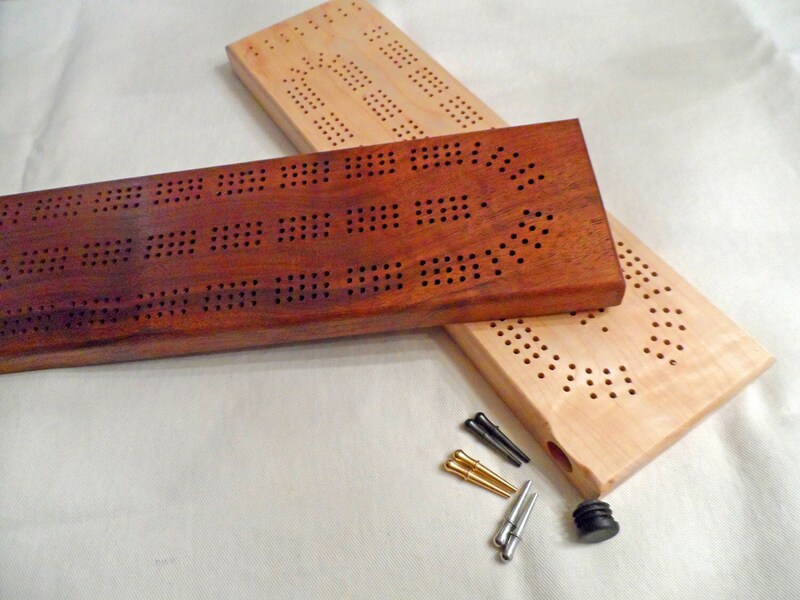 It makes a great gift and is sure to please the most seasoned Cribbage player. 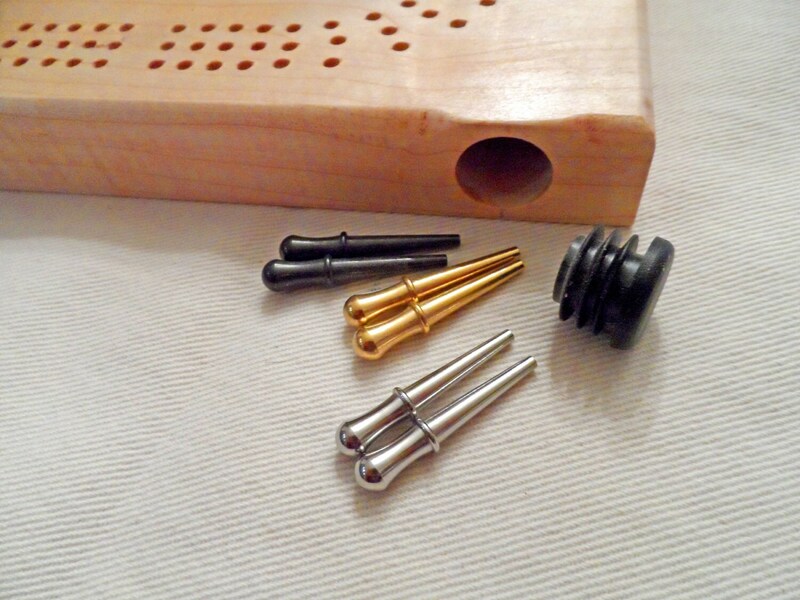 It will certainly become a "hand me down" item to future generations of Cribbage enthusiasts. 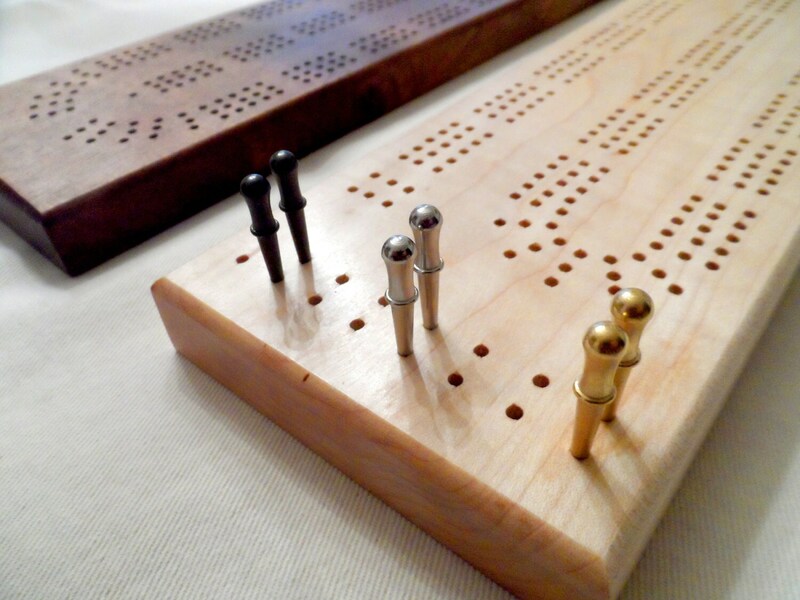 This board comes with a set of high quality metal pegs (gold, silver and black) which are stored in the board itself and we include an extra peg of each color. 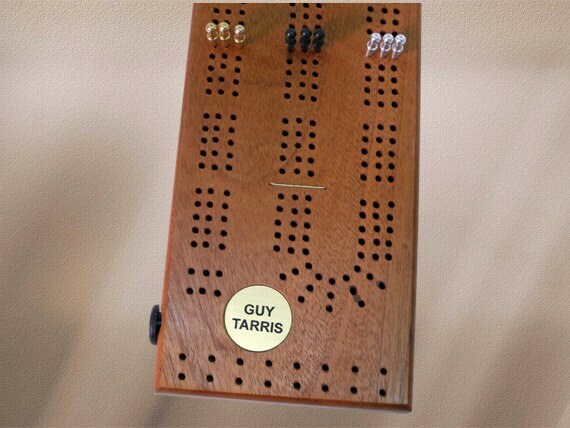 The board is finished in clear lacquer to enhance the beauty of your wood choice. There are no painted lines that will fade and disappear over time. To further the heirloom quality we can add an embossed inlay to (up to 20 characters) to commemorate a special occasion or highlight a special day or event. The board measures 1 1/8 X 5 X 15. An added skunk line is also available. If adding an inlay please include you verbiage on the notes section of your order. You can also personalize this by adding a bronze insert (size of a half dollar) 1.25", up to 20 letters or numbers. Love the board, fast shipping, great quality. We are very happy with our purchase. 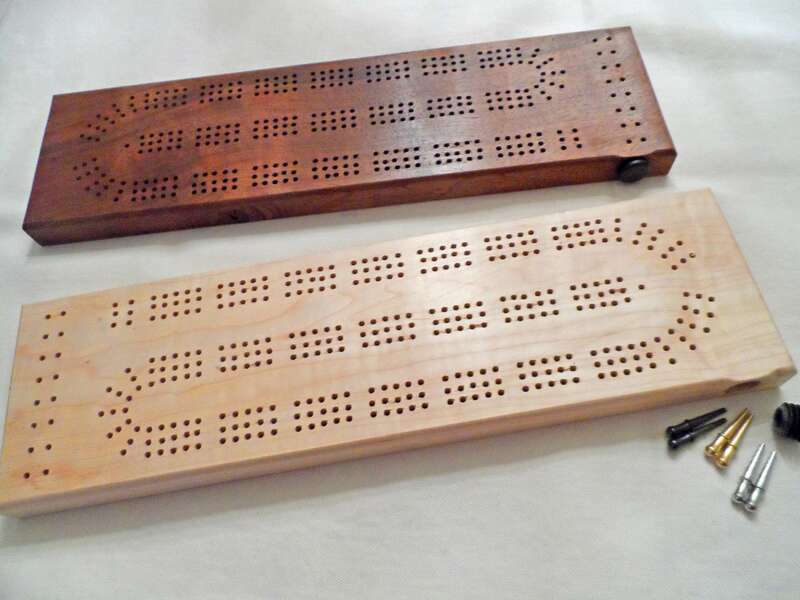 Ordered a cribbage board for my husband for his birthday-It arrived very quickly and when I opened the package I couldn’t believe how beautiful it was! The photos don’t do it justice. Such a great, quality hand made gift. Thanks Wayne!